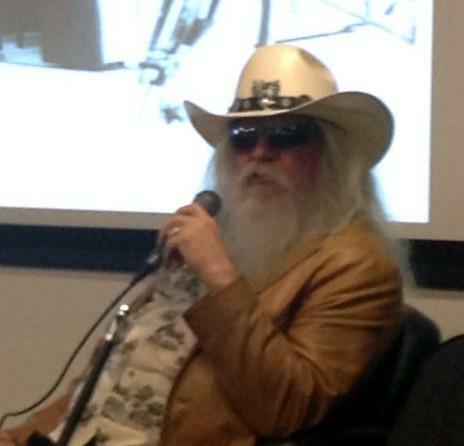 Musician Leon Russell's vast personal archive will be housed at OKPOP. Though it won’t open for almost three more years, OKPOP’s collection continues to grow. Museum staff have been in touch with Steven and Charlene Ripley, who Leon Russell asked to take care of his personal archive. Before he died in November, Russell said he wanted it all to go to OKPOP. The collection includes 2,500 master recordings, equipment, instruments and personal effects. "In fact, we just got contact this morning from Jan Bridges, Leon's widow, that she wants his show piano that he toured with to come to OKPOP," said OKPOP Director Jeff Moore. Russell's personal archive has been in the Ripleys' care since 2005. They trucked it from Nashville to Oklahoma. The museum has also been in talks with Dwight Adair of Austin, Texas, who has the world’s largest private collection of Bob Wills artifacts. "He is donating over 2,500 artifacts related to Bob Wills' career, including these two historic movie — I think one of these might be the only one — movie posters from Bob Wills' movie career," Moore said. The Russell and Wills collections are among more than 350 OKPOP now has, ranging from country music legends past and present to Hollywood directors.